CHICAGO (WLS) -- Whole Foods opens its latest Chicago location in Streeterville on Jan. 28 and is hiring 100-150 people. The Streeterville store will be located at 355 E. Grand Avenue in a former Dominick's location. It will feature a variety of new prepared foods and beverage venues, as well as classic Whole Foods options. New venues include Chicago's local raw vegan restaurant RAW, a 12-tap bar, a coffee bar and wine room, a ramen station and an apothecary-style Whole Body department. Doors will open at 9 a.m. Wednesday, Jan. 28. A bread-breaking ceremony will be held at 8:45 a.m. The first 500 customers will get gift cards. Whole Foods will follow their Streeterville store with a West Loop location at 1 North Halsted Street scheduled to open on March 25. Other future store will be at 959 West Fullerton and 6009 North Broadway. 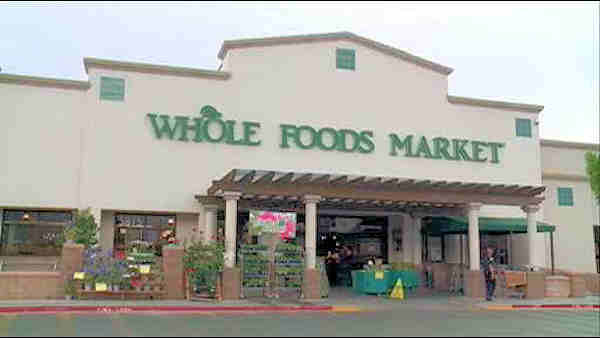 Whole Foods is hiring 100-150 people at each new location. For full hiring information, click here.